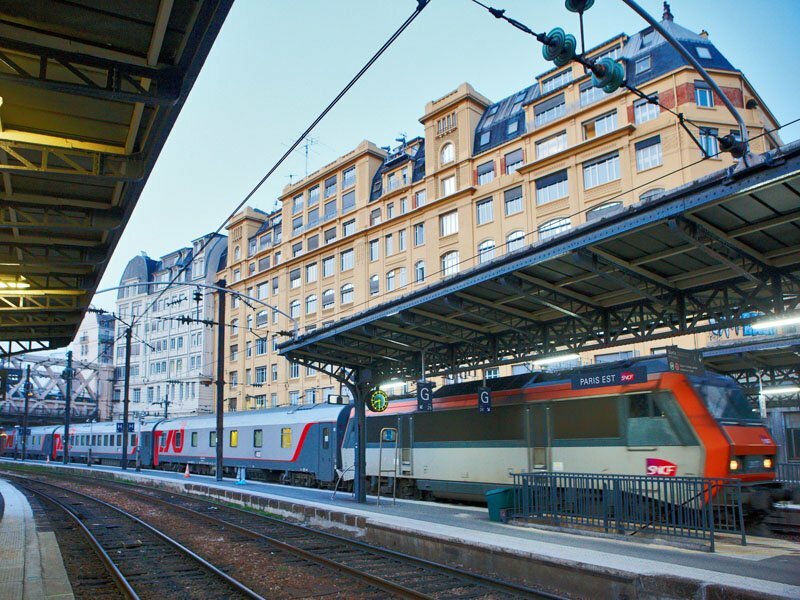 Moscow - Berlin - Paris train, Buy Moscow - Berlin - Paris train tickets online quickly and easily. 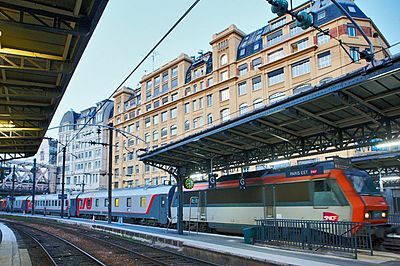 Moscow – Berlin – Paris train covers the distance of 3483 km and goes through 5 countries: Russia, Belarus, Poland, Germany, and France. This is a fast train with an increased level of service called a "firmenny" train. In 2015 all carriages were replaced with those of new RIC modification (Reglamento Internazionale delle Carrozze). Three types of carriages are available on this train: VIP 1st class, regular 1st class and 2nd class carriages. 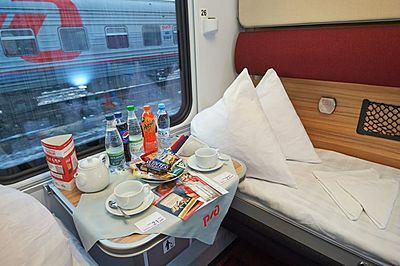 VIP 1st class carriage has 4 double-occupancy compartments. Berths are arranged in two levels. 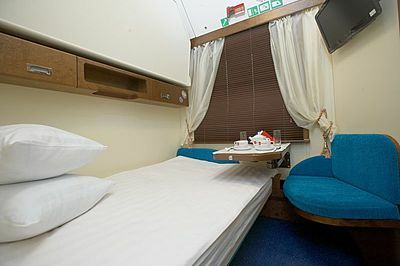 The lower berth is 110 cm wide. Each compartment has a private shower and bathroom, a DVD-player, a TV, and independent air conditioning. Regular 1st class carriage has 8 double-occupancy compartments. Berths are arranged in one level. Cabins are equipped with independent air conditioning. 2nd class carriage has 8 quadruple compartments. The train has a restaurant car with English menu. You can visit the restaurant or order food to your cabin.